From what I remember there hasn’t exactly been an avalanche of Android L handsets in the world of concepts, so this Motorola phone is a treat. 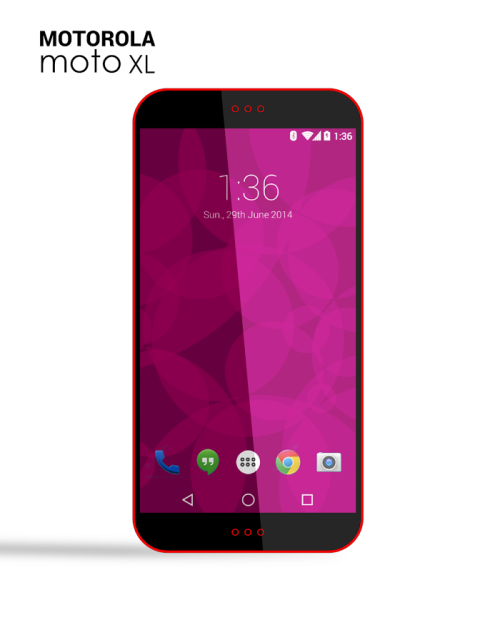 Below you can see the Motorola Moto XL, created by the brilliant Hasan Kaymak. So, if I can speculate I’d say this model packs a 5.5 inch display and it’s aimed at being a HTC Desire 816 rival. It has a quad core Snapdragon 400 CPU, dual front speakers, a 13 megapixel camera and 2 GB of RAM, in my view. The screen has a pretty small bezel and there should also be a front camera in the mix. I can’t really say how this model stands out from the crowd… Exchangeable covers again maybe?